With our new arrivals, what is the best West Ham team for the coming season? Have we now got enough quality players to use impact substitutions to change a game if necessary? I am old enough to remember the days when football was strictly eleven-a side. Teams would start with 11 players and finish with the same 11 players. If anybody was injured or out of form then that was just tough; there were no substitutes sitting on a bench to replace them. 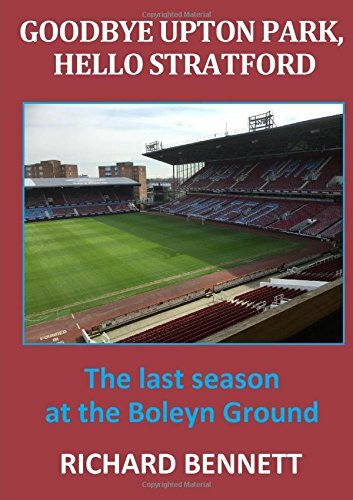 When West Ham won the FA Cup in 1964, the same 11 players started and finished every game in every round, including the Cup Final itself. Those days are long gone. The ability to use increased numbers of replacements was a gradual one. In the English leagues in the mid-1960s each side was permitted to use one substitute (just one player was nominated to sit on the bench), but only if a player was injured. This rule was relaxed a couple of years later to allow the substitution for tactical reasons. As time has progressed the number of substitutes that can be used has gradually increased so that now (in competitive matches, as opposed to friendlies) a maximum of three new players can be brought on, out of seven who are sitting waiting for a chance to come on. As a follower of Rugby Union I have noticed a similar situation, where although 15 players start the game, the squad consists of 23, and I believe all 8 who start on the sidelines can be brought on at some time. If football follows a similar pattern then I can see the day not far off when perhaps five substitutes can be used, and a whole team sits on the side, allowing for tactical substitutions to be made in all positions on the field. But, even though the game is now 14-a-side, do managers make the best use of the players at their disposal in each game? How can West Ham make better use of players sitting on the bench? Of course not everyone is in agreement, (and the manager himself may be one of those!) and the players closest to appearing in the starting eleven not in this team, would appear to be Cresswell, Noble, and Ayew. So our most recently capped England international, our captain, and our (until recently) record signing would be amongst those sitting on the bench. Other contenders for substitute would be Fonte and Collins at centre-back, Byram at right back, Fernandes in midfield, and the (seemingly) perpetually injured Carroll and Sakho up front. Snodgrass, Feghouli and Fletcher would also come into the equation if they remain with us, together with the young players such as Rice, Burke, Cullen, Quina and Martinez and perhaps others, if they are given a chance. Of course, at times as last season progressed, we stumbled upon a 3-5-2 formation which had some initial success, and if this formation was deployed, who would be the back three? Even though Zabaleta is a full back by trade, he could perhaps be used alongside Reid and Ogbonna, although perhaps Fonte could come in? No doubt Byram or Antonio would be used as the right wing backs, and Cresswell or Masuaku on the left. Assuming Obiang, Kouyate and Lanzini are picked whatever the formation, this would leave Hernandez and Arnuatovic as the two up front, with Carroll and Sakho (if fit) being more than useful substitutes, especially the former if a tactical variation was used. However, I personally doubt that we would start with a 3-5-2 formation with the players in the squad now, but it would be good to think that the players could adapt to this (mid-game) if necessary. Most observers and fans seem to agree that this has been a superb transfer window so far (although some will never be happy, of course), and according to various media we haven’t finished yet. But I doubt if there will be more additions unless some go out of the exit door. But whatever your opinion, we now have much greater pace in attacking positions, allowing for a potentially completely different dimension to our forward play. We have a variety of alternative attacking options, and hopefully we will use substitutions wisely to make full use of them. We now seem to have a squad which will allow us to play with a Plan B, C, D, and I hope that we make full use of all the possibilities to enable us to score more goals. My concerns for the forthcoming season are diminishing, although we will still rely on Lanzini to make us tick in the middle, and I’m not sure we have anyone to fulfil a similar role if he is out. If only we had another £40-£50 million to splash out on a Sigurdsson or Barkley? Similarly, whilst we have four very experienced international centre backs to choose from, I worry about a lack of pace in that area when facing nimble attacking opposition. I firmly believe that we now have the players that will enable us to comfortably finish in at least eighth place in the Premier League. It would be good to think that we could challenge for a higher finishing position, and we should hopefully be closer to the top teams than we were last season. It will still be difficult to break into the elite six or seven teams at the top, but you never know. Previous Previous post: A Stronger West Ham. But Are There More To Come? Next Next post: Sullivan: Give Me Just A Little More Time!